Professor Hide compares contemporary science with science as it was at the time of the foundation of Gresham College in 1597. Professor Hide was the Gresham Professor of Astronomy from 1984 to 1990. He was formerly Professor of Physics at the University of Oxford. Professor Hide was educated at Percy Jackson Grammar School in South Yorkshire and the University of Manchester, where he obtained a first-class degree in Physics in 1950. He then went to Gonville and Caius College, Cambridge and was awarded a doctorate in 1953. After research at the University of Chicago, he was a Senior Research Fellow at the Atomic Energy Research Establishment at Harwell, Oxfordshire from 1954 to 1957. He was a lecturer in physics at King&apos;s College, Newcastle from 1957 to 1961, before becoming Professor of Geophysics and Physics at the Massachusetts Institute of Technology (1961 to 1967). He was then Head of the Geophysical Fluid Dynamics Lab at the Met Office (1967 to 1990). He was appointed a Fellow of Jesus College, Oxford in 1983, holding his fellowship until 1996; he was then appointed an Honorary Fellow in 1997. 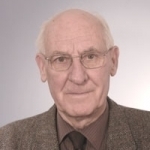 He was Director of the Robert Hooke Institute and a Visiting Professor in the Department of Physics at the University of Oxford from 1990 to 1992. He is a member of the Pontifical Academy of Sciences, having been appointed by Pope John Paul II in 1996. Hide was elected a Fellow of the American Academy of Arts and Sciences in 1964, a Fellow of the Royal Society in 1971, awarded the Royal Society&apos;s Hughes Medal in 1998 and appointed CBE in 1990. Since 2000, he has been Senior Research Investigator, at the Department of Mathematics, Imperial College London.